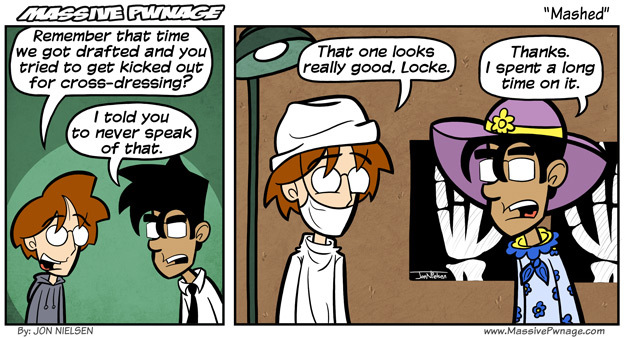 This comic is dedicated to Locke. Hope you like it buddy. This entry was posted on Monday, August 10th, 2009 at 12:00 am and is filed under Comics. You can follow any responses to this entry through the RSS 2.0 feed. Both comments and pings are currently closed. Hey, you took my suggestion. You would think ence would be in the funky stuff.